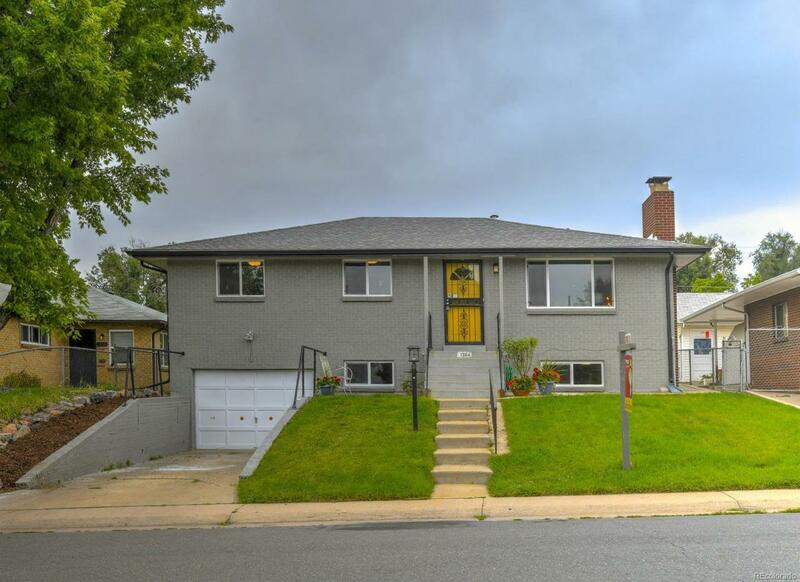 This home has a great layout with 3 bedrooms, including the master, on the main floor and a non-conforming bedroom (or office) in the finished garden-level basement. All of the big ticket items have been addressed; New kitchen with Ikea cabinets, stainless appliances and butcher block counters. New dual-pane windows. 3 remodeled bathrooms. New Central A/C, hot water heater and main electrical panel. New hardwood floors on the main level and new carpet in the basement. Blown-in insulation in the attic brings it to R-38.. Newer roof and sewer line is in great shape. With the new detached 2-car garage, you could convert the 1-car attached garage into living space, a heated workshop or art studio. This is a quiet location just 1 block to Aspgren Park, 6 blocks to Hudson Lake and a 10-minute drive into downtown Denver.